Recognized as one of the oldest outstanding mobile telephone companies, Nokia has been a multinational brand since 1865 and are still very much relevant today. They are known to be the producer of the most durable mobile phones from the inception of their mobile phone production. Their production line has covered a wide range of mobile phone collections from the basic handhelds used after advancement from the landlines, to the classic feature phones with the Symbian operating system, to advanced smartphones with the Microsoft and Android operating system that keeps up to date with the world’s trend. Never disappointing as always, the Nokia Android phones are of excellent qualities, premium ruggedness, and great camera set-up. They offer a wide variety of smartphones that readily fits into your budget, either you are going for the expensive look or a more affordable model, as well as feature phones that everyone needs as an extra. Nokia Basic Phones: Need the perfect get away from the smartphone world, Nokia presents a wide range of basic and feature phones that allow you to enjoy basic communications, access the internet, download, and play music. Most of the phones support dual sim usage allowing you to have as many numbers as you want. The phones have the digits keyboard panels at the front. With an outstanding battery life that is naturally preserved due to its low outside world connection, you can be sure to sustain your phone for days without having to recharge. Designed to be simple yet sleek and beautiful, the phones come in different colours and patterns. With no need for sophistication, the phones feature polarised displays and durable plastic bodies that have been proven to be resistant to wear and breakage even when they fall from heights. Nokia SmartPhones: Nokia has swiftly moved from the production of the old classic phones to delivering smartphones that everyone desires. Their smartphones started from the Nokia-Microsoft merger phones called Lumia phones and have progressed unto the purely Nokia owned Android phones. On its path to recovering its global glory in the smartphone world, Nokia remembers all its low-end customers with the production of the most affordable smartphones with premium specifications. The Nokia 1, 2, 2.1, 3, 3.1, 5 and 5.1 all fall in this category and have qualities that would pass as expensive. Out to get top quality for as high as possible? Nokia has packed the best of qualities to the best smartphones you would find out there. Check out the Nokia X5, Nokia X6, Nokia 7 Plus to view the most powerful Nokia phones available. 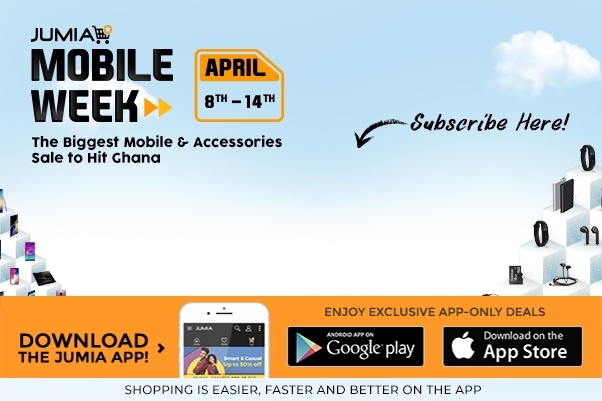 Jumia Ghana offers a wide collection of the new Nokia feature and smartphones all at the most affordable prices around. Check out the bestseller Nokia 3310, 105, and 103 that features MP3 players, FM radio, and expandable storage via micro-SD card. Be sure to pick out the best you want from the collection ranging from the Nokia 1, 2.1, 3.1 to the 6.1 and 8 models, all available in your preferred colors and designs. With our easy-to-navigate website, shop your preferred phone with just a few clicks of your mouse, choose either to pay on delivery or use any of our safe and convenient payment methods and have your goods delivered to your preferred location.